Which set should I buy, Bag End or The Lonely Mountain? Which set do you like the look of? Which sets do you already have? 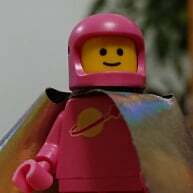 Do you like builds or minifigs? Have you bought all the other dwarves yet? If you are primarily interested in the characters, I'd leave Bag End for now, and buy all the dwarves before they escalate too much in price. Bilbo and Gandalf are common, so they can wait. If you want a Hobbit home (either for Bilbo or Frodo), then obviously go for Bag End now before it escalates in price. Prefer bag-end by far - it's one of my favourite sets. Lonely Mountain is good for Smaug and that's about it, the rest of the set is just dull wall and shrapnel for the most part which basically sums up like 90% of hobbit/lotr sets. Unexpected Gathering (Bag end) is by far the best Lego set that I own. It also is an iconic setting from the Hobbit and Lord of the Rings. Now I own most of the Lord of the Rings and Hobbit sets but have not gotten Lonely Mountain set yet because truthfully the only thing that would attract me to it is Smaug and it seems a bit overpriced for that. Personally I prefer Bag End, it's a great display piece and so iconic looking. Lonely mountain is basically a giant battle pack as I see it, which to be fair it pretty much needed to be. If you are thinking get one now and maybe grab the other in the future I'd definitely say get Bag End first, it's far more likely to disappear without much warning than Lonely Mountain. I have both. I love both. They serve different purposes. Bag end is a great display piece and you get plenty of minifigures. My son loves playing with this set. Its retired now so you may have to pay full RRP which isn't too bad I suppose, although I don't think its worth RRP. The lonely mountain is a great set. I love it, despite what others are saying about it. There are lots of play features and doesn't look that bad as a display piece either. Smaug is incredible!!!! I absolutely love him... he is worth the inflated price, although again I didn't pay RRP. It will go down in price, although Bag end is only probably going to go up in price so may be pick that one up for now. My favourite Lord of the Rings build is Tower of Orthanc, which is only £70 more than Lonely mountain and with so many more pieces..... Save your pennies for Tower of Orthanc! Agree, Orthanc is the best set out of the lot. Bag-end is my second favourite after that. The rest I can barely even remember what they are half the time they're so forgettable. 'An Unexpected Gathering' represents the whole Hobbit trilogy and book whereas 'The Lonely Mountain' is just the third film. Bag End was in the first, and presumably in the last for a little bit when Bilbo returns. The Lonely Mountain was in the second and third, but the focus of the quest throughout all three. Both represent The Hobbit pretty well. I make it 4 dwarves plus a variant of Bilbo and a Gandalf vs 4 dwarves plus a variant of Bilbo plus Smaug. I'd say Lonely Mountain wins on characters. I agree with @CCC. Technically Lonely Mountain was in all three of the Hobbit films (the back story in the first film). Plus, the variants of the Dwarves are great in the Lonely Mountain (the green armous, trans-green blades, red armour). I'm not saying that the Lonely Mountain is the better set, just that I don't agree with the statement that Bag end is better in character and buildings. For me I'd say Bag End is more iconic in that it matches Tolkiens sketches more and therefore fits the Hobbit and Lord of the Rings books as well as matching both series of films. Lonely mountain is based soley on Jacksons telling of the Hobbit so only fits the one film series. That said it is recognisable to the film, but for me it's not how I'd have pictured the lonely mountain so I don't think I'd be buying it to keep as a set but for minifigures/Smaug and parts. In perspective it does not given that all dwarves in LM are recycled (ok some sporting different shirts), while Bofur and Bombur are unique to Bag End. Smaug is magnificent but its just one figure that you can really buy on the side. There are ALL wearing something different, and are therefore unique to this set. You could equally well buy the unexpected gathering dwarves on the side. As I noted above, it totally depends on what the OP wants from the set he buys, and what else he already has - is the focus on minifigs, builds, a particular place, etc. For me if I had to chose one set between 'The Lord of the Rings' and 'The Hobbit' I'll have to choose 'An Unexpected Gathering' It's what the foundation of the Middle-Earth is based on. Why is Bag End a foundation of Middle-earth? If I had to pick one set to represent The Hobbit and LOTR, I'd choose #79000 Riddles for the Ring. The scene is somewhat incidental to the main story of The Hobbit, but it set into motion the events in LOTR. For The Hobbit alone, I'd go with #79018 The Lonely Mountain. While Bilbo's change through adventure and return is the overarching theme, the quest to recover the treasure from Smaug is what the story is about, and this is the only set with Smaug. For LOTR alone, I'd pick #9470 Shelob Attacks. The central focus of the story is the quest to destroy the ring, and I think this best illustrates Frodo's and Sam's struggles on the journey to do so. Bag End is one of the first scenes in Hobbit Unexpected Journey. Don't know if it will show up again at the end of BotFA, but possible. And in LotR Bag End is the first and last scenes of the trilogy. For this reason alone, it's the most memorable piece of the combined Trilogies, even more so than Orthanc. It wins most memorable location that was in both trilogies almost by default. And in LotR Bag End is the first and last scenes of the trilogy. In the books, yes, but not in the movies. I can agree to Bag End (or the Shire in general) being the most memorable location between the two. My question is what makes it "what the foundation of Middle-earth is based on", as quoted above. I think its because Bag End is not simply most memorable location, it and Shire in general represent the value of Middle Earth, something that's most dearly at stake in the war from the Hobbits' point of view, who are the chief focus of the writer. Yep you could, and then you'll have to buy the Bag End on the side too because that was my point, both characters and building make the set better than LM in my opinion. Yes, then it is down to subjective opinions about which set is better. Such threads used to get stopped as there is no right answer, although these days they seem to remain. My answer to the original question is probably both. If not both, then neither and spend the money on another range. I didnt realise there was anything wrong with such discussion. OP simply asked which set should he/she choose, and because no other info was given other posters were invited to give opinion on what *they* would prefer and why. So why would you buy both or neither? 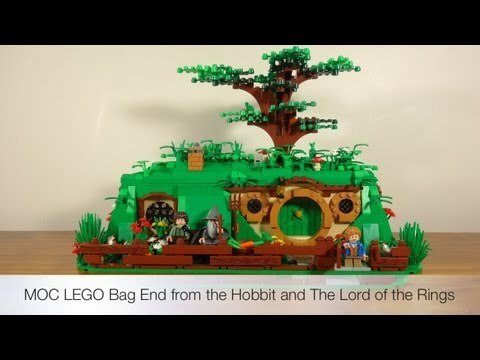 What do you think the LM has as a set, that makes it an essential purchase if one wants the Bag End? (I do seem to remember seeing a thread where you were interested in Smaug only, forgive me if I confused you with someone). As much as I wanted to see the scouring of the Shire included, I don't think it would have gone over well with most audiences. ^^ It would be both or neither for me since Smaug is an important character. I think I'd prefer to have Bilbo and Smaug rather than Bilbo and every dwarf, if I had to choose. Although I don't have to choose, as I have them all anyway. I like discussions and it is a shame that similar posts get closed down. Yes, it's personal preference but also interesting to get different perspectives. If I had to choose one I would pick the Lonely Mountain because I couldn't do without Smaug. If you intend on getting both eventually then I would buy Bag end now. I can't believe this is even a discussion lol. First off, if I remember correctly these kinds of questions are discouraged on this forum because it's so subject to personal opinion, and would lead to all kinds of "This set vs this set" questions. This thread would have been closed by now if Huw was here, I remember doing one between Ewok Village and Sydney Opera House. The moderater said it the thread provides no use and is all opinion based and would cause endless debate which wouldn't have any conclusion. ^ Oh no it wouldn't ... well, it is pantomine season. I think Smaug would look much more at home perched on the Sydney Opera House. Smaug in the forest of Endor would just look silly. I think Smaug would look much more at home perched on the Sydney Opera House. Bag end is one of the best sets of all time, so you won't make a mistake if you go for that. The build is great, also the figs are fantastic. I think the biggest argument in favor of buying Bag End is that it surely can't be around *to* buy for much longer! Get both; end of discussion. :) If you can't, then get Bag End now. LM will be around for a little bit since it was just released, so you will have time to get it at discount at some point should you choose to. They were both going to be released September 1st in 2013. I was asking which one would you purchase.